The traditional press release is being replaced by social media when communicating with journalists, in a new approach being taken by the comms team at the Department for Environment, Food and Rural Affairs (Defra). An example of the shift away from a mainstay of media relations towards more direct forms of communication is Defra's alert system for 'air pollution episodes' - when levels of pollution are high or very high. Less than one in ten such episodes result in a press release being issued. In contrast, alerts are tweeted by the Government department 16 times each on average. There have been 27 air pollution episodes since May 2014; resulting in just three press releases being issued, but 441 tweets by Defra. The figures were released by Defra minister Lord Gardiner, in response to a Parliamentary question from Green Party peer Baroness Jones earlier this year. This comes amid mounting pressure on government comms teams to take a different approach to media relations. "Digital and, in particular, social media will be at the heart of our content," states the government communications plan 2016/17. This is one of the "best practice principles" government comms teams are now expected to follow. Defra routinely posts Met Office air pollution forecasts, as well as real-time monitoring data, online. It also tweets from its @DefraUKAir Twitter account - providing information about current air pollution levels and health advice on a daily basis. "These are followed by journalists who use this to inform their reporting, as well as health charities and campaign groups who regularly retweet information to vulnerable populations," said Gardiner. "Given that this system is in place, Defra does not routinely issue press releases during air pollution episodes, but has done so on three occasions," he remarked. 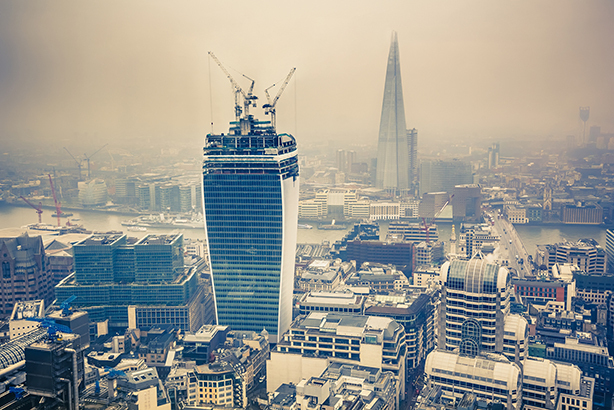 The paucity of press releases issued by Defra on air pollution levels stands in contrast to a continually updated five-day forecast of predicted air pollution levels available to all via its website. This includes health advice from Public Health England for members of the public, particularly those who are most likely to be affected by air pollution. A Defra spokesperson told PRWeek: "We use a wide range of channels in our communications, with our approach tailored in each case to best reach our audiences. In the example of air quality forecasts, this includes press notices and media briefings as appropriate, as well as social media channels, direct communications and working with health charities to make sure vulnerable people are aware of any periods of low air quality."